This guide is intended to introduce graduate level students in religion to the important practice of biblical exegesis. It will also help students in their research by providing important reference works that will greatly enhance their understanding of the practice of biblical interpretation and the various methodologies used. Although many professors will often have specific requirements in their exegetical assignments, there will also be many aspects of the assignments that will be determined by the student. This guide hopes to provide the proper resources so that students will be able to adequately fulfill the requirements of the essay and in turn greatly enhance their own research skills. To better enhance their academic exegetical papers students will have to interact with existing scholarship. The library has access to many online databases that contain thousands of documents. These are invaluable tools that will greatly enhance research, both academic and liturgical. This is not an exhaustive list, which can be found here. A list of handpicked topics curated by leading scholars in the field. Each topic has an up-to-date, annotated bibliography of dozens of key primary and secondary sources. Identical to Oxford Bibliographies Online - Biblical Studies but with topics focusing on Jewish Studies. A site curated by the Oxford editorial team headed by Michael D. Coogan. It gives online access to the New Oxford Annotated Bible, which uses the NRSV translation as well as other bibles published by Oxford University Press. It also provides access to thousands of images and maps to better understand the biblical world as well as articles written by experts in their fields on various topics. An excellent source on the textual history of the Hebrew Bible. If you writing a paper on a certain book this is an excellent place to start in order to better understand the rich textual history of different books that make up the Hebrew Bible. At this point in time (2017) only Vol. 1 is finished but as different volumes are finished they will be added to the database. Writing, one of the most valuable skill of an academic, is also one of the most overlooked. Although most people have been writing since a very young age, academic writing is much different than casual writing. These are some basic books that teach how to write academic papers with a theological emphasis. Turabian Style is an abbreviated version of the Chicago Manual of Style. Unfortunately there is no EBook version but this link provides a quick guide into this style. "When that research paper comes due and you’ve forgotten your style manual, get the guidance you need quickly with the Chicago Manual of Style QuickStudy® guide. Based on the 16th edition of CMS, this... contains the information you need for writing academic papers to CMS specifications, pared down to the essentials, including common, real-world sample references for both CMS citation formats so that you can be sure you are giving appropriate credit where credit is due." A step-by-step guide for a student of religion and theology to conceptualize, develop, and write a paper, thesis, or dissertation that meets the demands and fits the standards of contemporary scholarship. 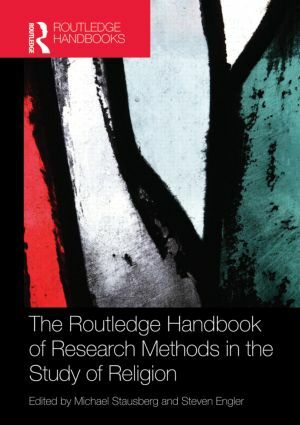 Designed to enable non-specialists and students at upper undergraduate and graduate levels to understand the variety of research methods used in the field. 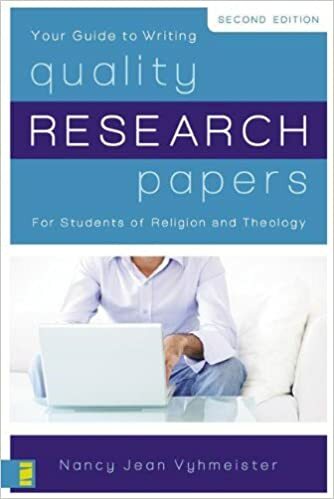 This focuses on religious research in general but chapters of note for biblical studies include (but are not limited to): Comparison (1.2), Epistemology (1.3), Feminist Methodologies (1.4), Discourse Analysis (2.4), Hermeneutics (2.11), History (2.12), Philology (2.16), Structuralism (2.18), Translation (2.21). Though similar to the Chicago Manual of Style, this style is slightly different. The most valuable section of this work is the abbreviations section that gives the standard abbreviations of most of the different works often cited by biblical scholars. Exegesis is one of the most fundamental skills of a biblical scholar. Learning the various methods of interpreting the Hebrew Bible and New Testament will not only help with course work, but will greatly enhance one's ability to better understand how other authors are interpreting these works, and in turn greatly benefit one's research skills. This short list of books will offer excellent introductions into exegesis, but it should be remembered that some professors are looking for specific information in their exegesis assignment; thus it is very important to refer to your syllabus when writings an exegesis paper. This is a handout created by Dr. Dale B. Martin for his students at Yale University. Remember that this is for his assignments and that those of your professors might be different. The two sections entitled "Methods in Biblical Scholarship" and "The Interpretation of the Bible" will be the most useful for exegesis. The Hebrew Bible counterpart to the above book, this again provides a step-by-step guide to exegesis focusing on the Hebrew Bible. It also assumes basic knowledge of Biblical Hebrew but non-Hebrew reading students will still benefit greatly from this introductory work. This magnum opus, like the title says is a comprehensive introduction. 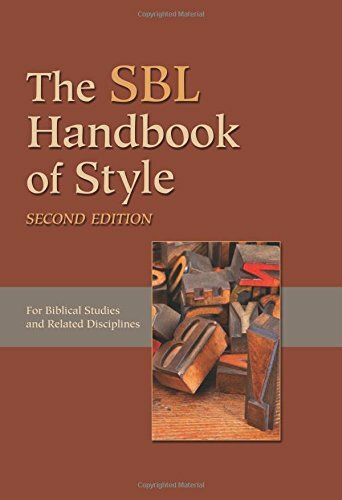 This book is highly technical and not for the faint of heart, but is filled with excellent information on the basics of biblical interpretation. This book has a very informative section on writings sermons as well. "Since its publication in 1994, An Introduction to Biblical Hermeneutics has become a standard text for a generation of students, pastors, and serious lay readers. This second edition has been substantially updated and expanded, allowing the authors to fine-tune and enrich their discussions on fundamental interpretive topics. In addition, four new chapters have been included that address more recent controversial issues: * The role of biblical theology in interpretation * How to deal with contemporary questions not directly addressed in the Bible * The New Testament's use of the Old Testament * The role of history in interpretation The book retains the unique aspect of being written by two scholars who hold differing viewpoints on many issues, making for vibrant, thought-provoking dialogue. What they do agree on, however, is the authority of Scripture, the relevance of personal Bible study to life, and why these things matter." Exegetical Studies LibGuide by Christopher Crawford is licensed under a Creative Commons Attribution-NonCommercial-NoDerivatives 4.0 International License.